Larissa Renaud isn't afraid of her family's antique shop, in a big old Victorian house in Louisiana, but she is creeped out by the doll case, which houses a doll that seems to follow her with its eyes. Then, antique phones start ringing, and every time Larissa answers, a girl is there to give her directions about something she needs to do. Larissa soon realizes that she needs to right a wrong from deep in her family's past in order to save the life of her mother and infant sister in the present. 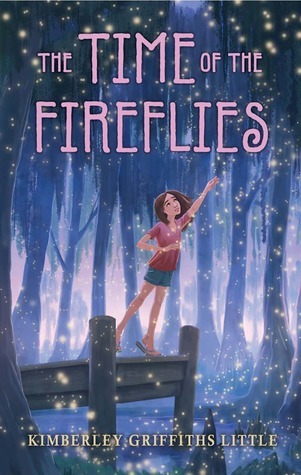 The Time of the Fireflies is a well-crafted, engrossing story. It was one of the Whitney books that really captured me this year, and kept me reading for pleasure rather than duty. She does a lovely job capturing the bayou setting of the novel, and of tackling the challenges of writing in multiple time periods. It's interesting to me that this book was considered middle grade. Larissa is twelve, but could just as easily be fourteen, and the book felt more like a YA Speculative novel (and would have been my clear favorite if in that category). This book, with it's dark magic and incredibly scary doll, would scare the freaking pants off of either of my middle grade readers. As an adult reader, I loved the story and Larissa, but still had to fight the urge to look deeply into the eyes of the dolls all around my house. An assassin is taking out the leaders of Roshar, and Kaladin is charged with protecting his king from meeting a similar fate. The world is on the brink of war from many fronts, and Shallan works her considerable skill to prevent the return of the Voidbringers. 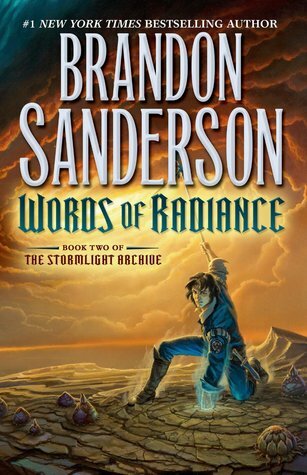 While fans of The Way of Kings, fans of Sanderson, fans of high fantasy, fans of good writing will probably enjoy Words of Radiance, whenever I read a book with lots and lots of world building and hundreds of names to keep track of, I feel the same kind of panic that I feel when I go to see the symphony. I have an appreciation of the parts, but it doesn't move me-- I recognize that there is great writing, great description, great storytelling going on here, but I feel like I'm looking at it through a thick pane of glass-- it's hard for me to engage, like it's written in a different language. I can appreciate on an intellectual level that this book is undoubtedly the most skillfully crafted speculative novel this year, and likely the best novel of the Whitneys, but it's one that I appreciate distantly rather than embrace. John should be dead. He's been shot through the heart, then nearly assassinated again while recuperating in the hospital, when the killer left a trail of bodies in his wake. The only survivors are John and Serafina, who escape on a cross-country journey to outrun death. But gradually they realize that John is anything but normal, and death seems to be following them. 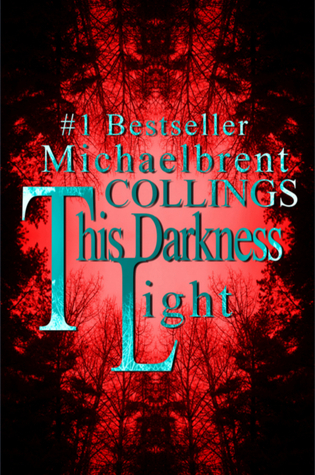 This Darkness Light is faced-paced and interesting. Collings knows how to move the action forward, and includes lots of minor characters and different voices in a way that allows readers to retain a sense of momentum in the novel. You know how a Dan Brown novel is almost impossible to put down, even when the reader recognizes that the story is totally implausible? This Darkness Light has a bit of the same quality. It reminded me quite a lot of Justin Cronin's The Passage, with many narrators and some characters who seem immune to worldwide apocalypse. The book is quite gory, but also pretty entertaining. This year the Whitney finalists in the speculative category included two novels by Mercedes M. Yardley. 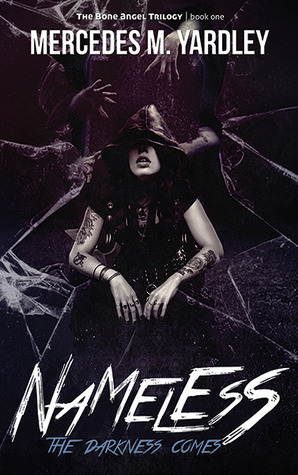 Her other novel, Nameless, was published first and therefore also eligible for the Best Novel by a New Author award. 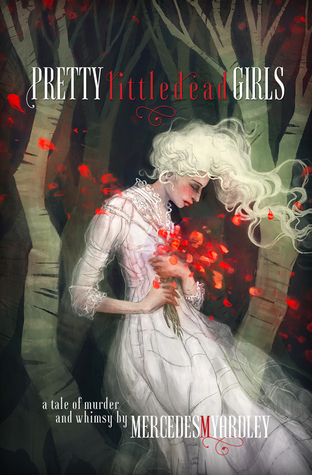 As I read both novels (and the rest of the books in the "new author" category), I kept lamenting that Pretty Little Dead Girls wasn't published first, because it was a thoroughly enjoyable novel. Everyone knows that Bryony Adams is marked for murder. The people in the small desert town in which she grew up all knew that one day the desert would come out and claim her. But somehow, she lives. She lives through childhood and adolescence and college, and then moves to Seattle and starts her life. Whenever it seems like she might just be on the cusp of being murdered, someone else seems to step in to take her place. The best thing about Pretty Little Dead Girls is the voice. Yardley writes in a third person "Dear Reader" voice reminiscent of Charles Dickens. 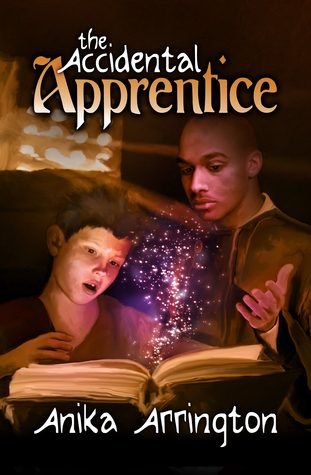 I also really enjoyed the fact that although the book was in the speculative category and there was a degree of magic involved, the book really didn't feel like a speculative novel, since the action was based on relationships and characters. Speaking of characters, the serial killer who stalks Bryony in the second half of the novel is more interesting than the husband, whose backing out at the last minute seemed flimsy. In the room right in front of you, you may see humans, you may see no one. If Luna Masterson were with you, chances are good that she would see demons. For as long as she can remember, these demons have followed her everywhere, trying to get her to make choices to advance their demony agenda. As a result, Luna is prickly. The only people she's truly close to are her brother and his one-year-old daughter, and when that daughter goes missing, Luna won't stop until she's found her, no matter where the demons lead her. Luna is a really engaging protagonist. She's very flawed but has a good heart, which makes her relatable. She's also funny, tough, and brave in her actions even if she's scared on the inside. She's also quick to judge and impulsive. I enjoyed her budding relationship with Reed Taylor (a guy who could see angels, and therefore an interesting foil), but didn't like the feeling that we were moving from one big action movie scene to the next. If this book were made into a movie, they'd have to have a big budget for demonic fight scenes-- Nameless is chock full of them.